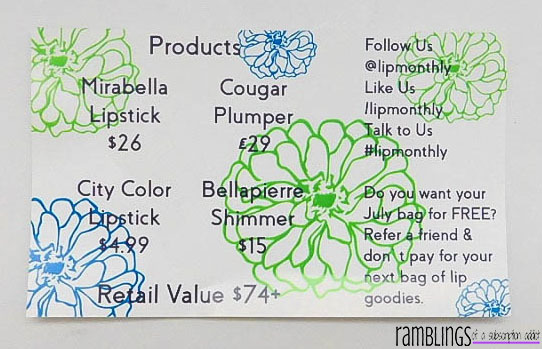 Lip Monthly - July 2016 + Coupon Code! I am honestly not a huge fan of this bag, it reminds me of a bag for a child. Info card! 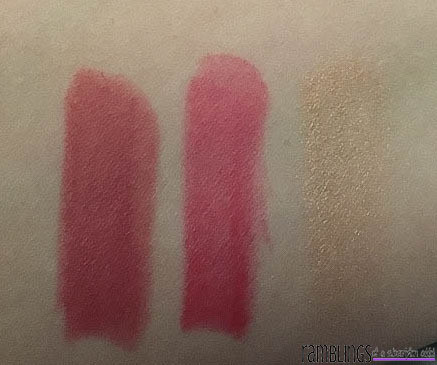 Swatches of products are at the end of this post! 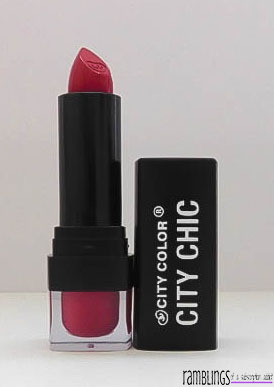 City Color City Chic Lipstick (Je t'aime) ($3.49) - Absolutely love this lipstick, probably my favorite product of the month! 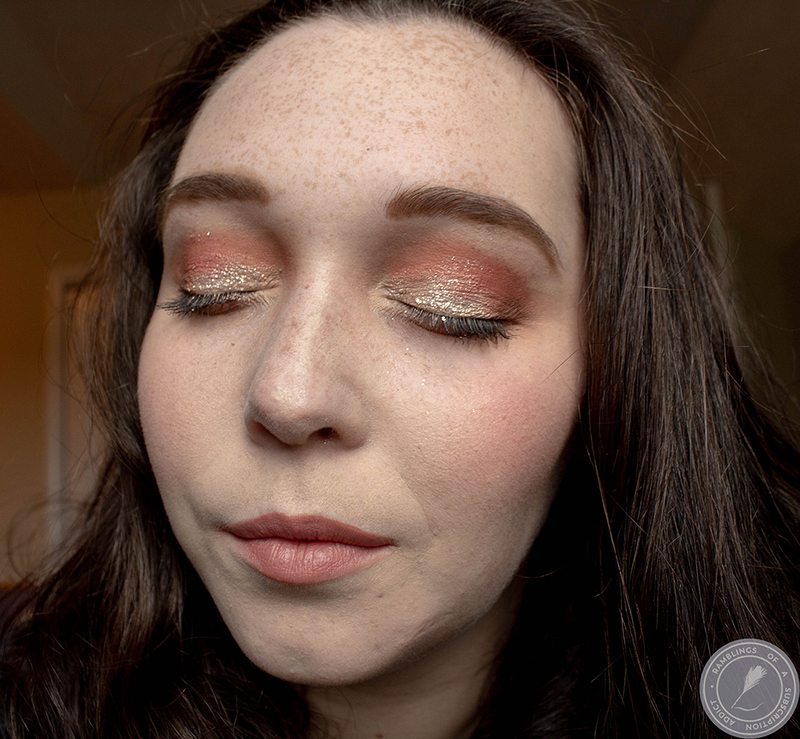 Je t'aime is a dusty pink with one of the best formulas I've used in a while. It applies perfectly and the shade is perfect. 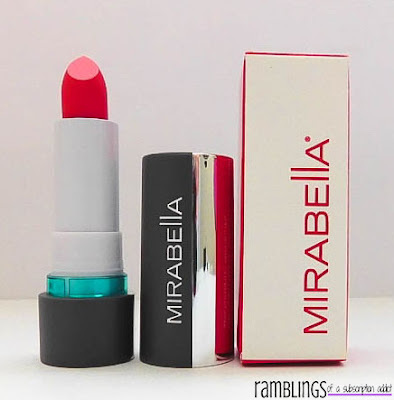 Mirabella Lipstick (Cherry Shine) ($26.00) - The name 'Cherry' definitely matches this lipstick. It's a very bright pop of color, perfect for summer! I did have to do a few strokes to get the color to show through best, so this is a very light to buildable lipstick. 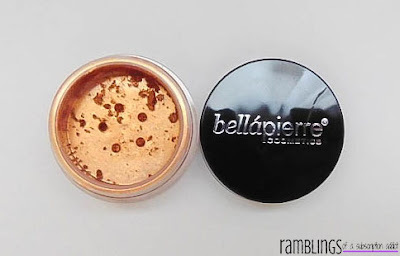 bellapierre Cosmetics Shimmer Powders (Celebration) ($15.00) - I expected this to be a much more vibrant shadow, but I love that it's more muted. 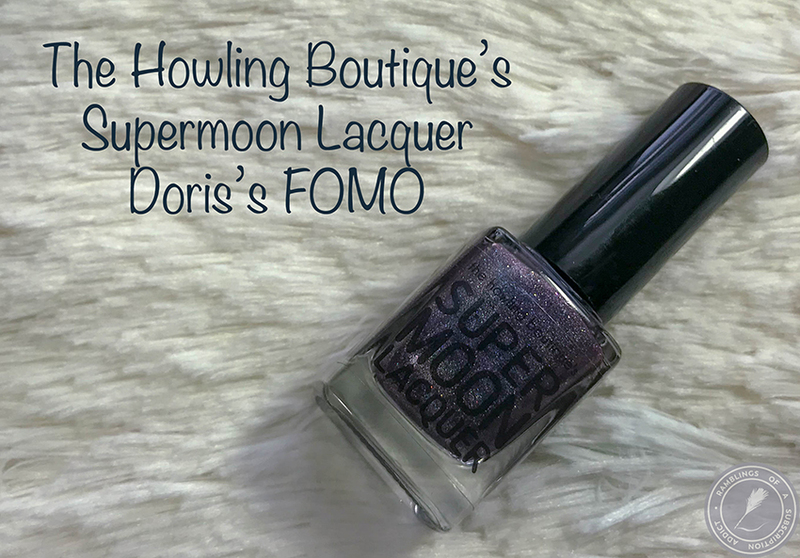 It's a lovely light bronze shade, and I really appreciate how smooth the formula is. There's plenty of product, so you won't run out easily! Cougar Beauty Products Perfect Pout ($38.67) - First off, this product is from Britain so shipping is absurdly expensive, which is also why the product itself is expensive. Second, it smells really bad, to the point of making it difficult to wear from the get go. I'm used to lip plumpers that smell really minty, but not so chemical-y. Finally, it is very sticky, reminiscent of lip glosses from the 90's. These three things make this a huge NO for ever buying or using again. Strangely, it didn't even plump my lips. Swatches L-R: City Color, Mirabella, bellapierre. 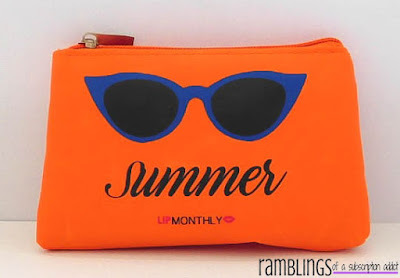 The value of this bag is $83.16, well over the $12 cost. 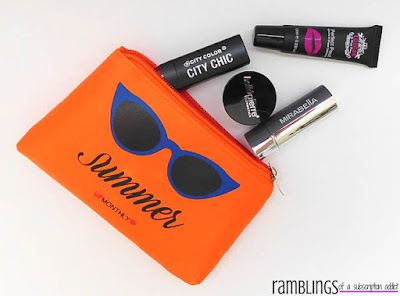 Even with the failing product in the Perfect Pout, the bag is still well worth the cost. 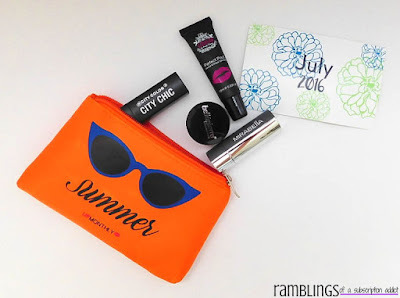 I definitely loved the lipsticks and found two new great products, as well as tried a new color of an existing loved product. 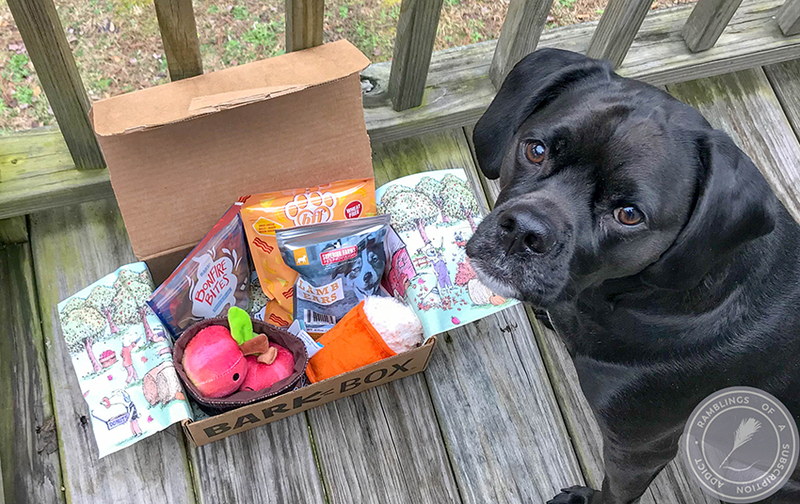 What was your favorite product? Let me know in the comments!